The minimum wage peeks out from under a rock every so often and becomes a hot political topic. People realize they are living with less income as the value of the dollar shrinks and they begin to protest and demonstrate for some fanciful number that they have decided will be sufficient for them to reach their former income. Since this is a minimum wage the demonstrations and the discontent has to come from those working in industries with small profit margins. Highly capitalized industries are not affected by this since they can pay more to people who run machines that increase their output and productivity. Why does this discontent arise? What triggers the feeling that money received is less than adequate? The government reports that inflation is very low so the value of the money should not be deteriorating yet the cost of living must be increasing or there would be no discontent. A person who is making a salary that provides for his living is usually content to work and rise with promotions and raises. But when a large group gets together and sees there is stagnation and inadequacy they eventually organize to protest their perceived inequality. What triggers this commonality of purpose? If the price of beef is so high that only hamburger can be on the table. If the price of milk is twice what it was a few years ago. If a person’s food budget keeps creeping up every trip to the grocery store. Even those most obtuse notice the results. This cannot be accidental. The truth is the false reporting by the government of the Cost of Living is behind the phony notion that inflation is low. If you look at how the inflation rate is determined you can easily see the conniving and manipulation the government is willing to commit in order to pretend the inflation rate is low. I suggest you look up James Puplava and his article “The Core Index” for a complete exposure of this con game instituted by the Boskin Commission and sanctioned by Congress. Now as the reality of the rising cost of living emerges another quick fix is proposed to avoid addressing the root of the issue. Thus the minimum wage increase is proposed so it appears the government can solve the problem it created but doesn’t want to acknowledge. What are the consequences of raising the minimum wage besides the obvious shortage of less than minimum wage jobs which are now illegal? As the minimum wage again becomes insufficient to meet the cost of living the same scenario becomes the norm and eventually riots and chaos become commonplace. See the history of hyperinflation in the past in several countries including Venezuela to substantiate this occurrence. When the government attempts to control the economy it invariably disrupts the market. Instead of allowing prices to fluctuate with supply and demand the government thinks it can intervene and somehow assist through subsidies and regulations to make the economy “better”. It doesn’t work that way. Distortions and disruptions only require more manipulations, promises and regulations which only compound the problems. This constant process leads to an eventual police state where the government runs and /or owns everything, business evaporates and the worker becomes a pawn of the state. 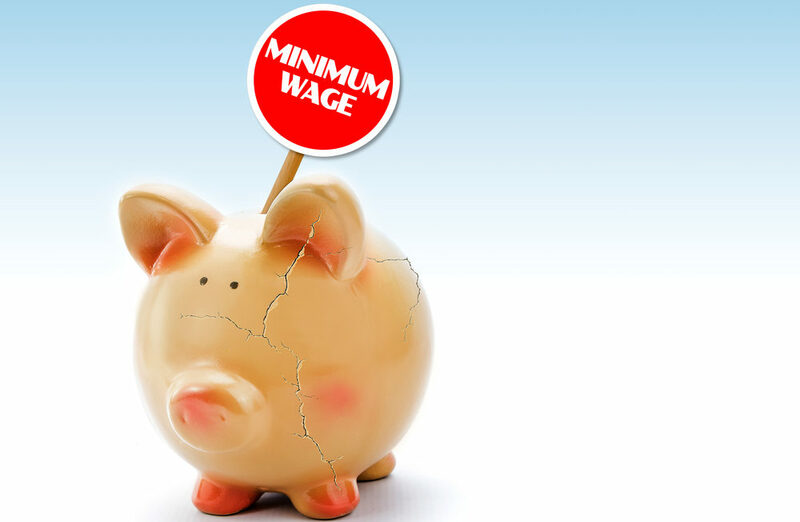 The move to raise the minimum wage is only a small component of the overall process but it is a component and a signal that the process is taking place. Living at substandard levels is not an antidote nor rational. People will move in this direction as their standard of living deteriorates. Of course the government is also deteriorating and going further into debt and compounds the living standard issue with tax increases and further government borrowing and the printing of money which further exasperates the condition. This process which plays out over time and has done so in many countries can only be stopped if the country turns away from government interfering in the economy. Politicians will not recognize their role in this but they are the main culprits. In addition the Universities who teach such slop should own their part of the blame. If the intellectuals felt the necessity of the low wage earners and acted appropriately the nonsense of a government run economy would dry up and blow away. Only the necessity of subsistence seems to move those who want to survive to speak up. America’s Dependencies Will Be Our UndoingWhat’s Wrong With the Big Bang Theory?